T&R Independent Books proudly brings Book Three of R. Frederick Riddle's The World That Was series to publication. PORT CHARLOTTE, Fla. - Nov. 17, 2017 - PRLog -- T&R Independent Books Vice President and author R. Frederick Riddle announced today that his World of Shem novel has been published and is available in both soft cover and eBook formats. This book three of the series The World That Was follows the Biblical timeline of events ranging from the landing of Noah's Ark upon Mount Ararat to the Tower of Babel to the birth of Abram (later Abraham) to the call of Abraham at Haran. Although a fictionalized account the author has endeavored to keep to the original facts as found in the wholly accurate and reliable King James Version Bible. This revised version of The Rise of Shem has undergone a major rewrite with some scenes completely removed or edited. Asked why the revision, Mr. Riddle said, "While the Rise of Shem remains a work I am proud of, I decided that there were some errors that needed correcting. It is also the third book of the series and I wanted a fresher look and feel, especially as a book published by T&R Independent Books." Reviewers of R. Frederick Riddle's books have given them 4 &5 star reviews. One reviewer opined that Mr. Riddle "brings the Bible alive!" Watch for special Christmas Countdown deal beginning December 10th! Reviewers are always welcome. 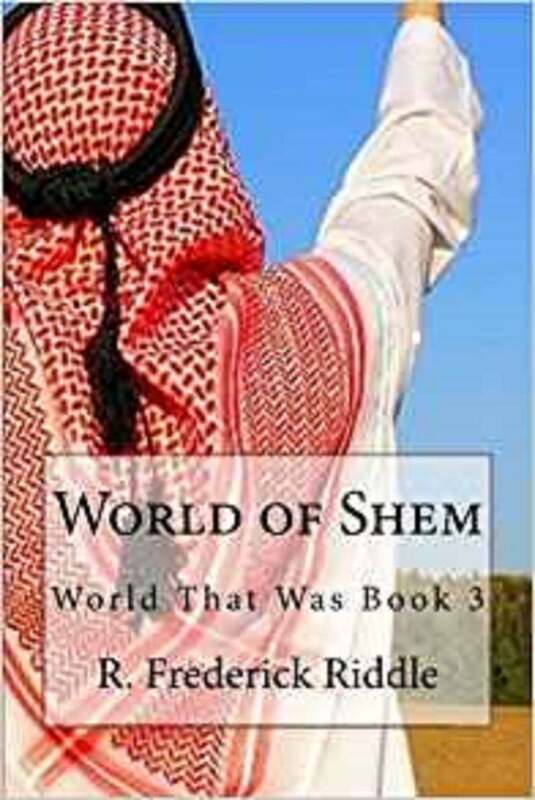 To find out how you can review the World of Shem contact Mr. Riddle at http//::marketing@tr-indbkstore.com.